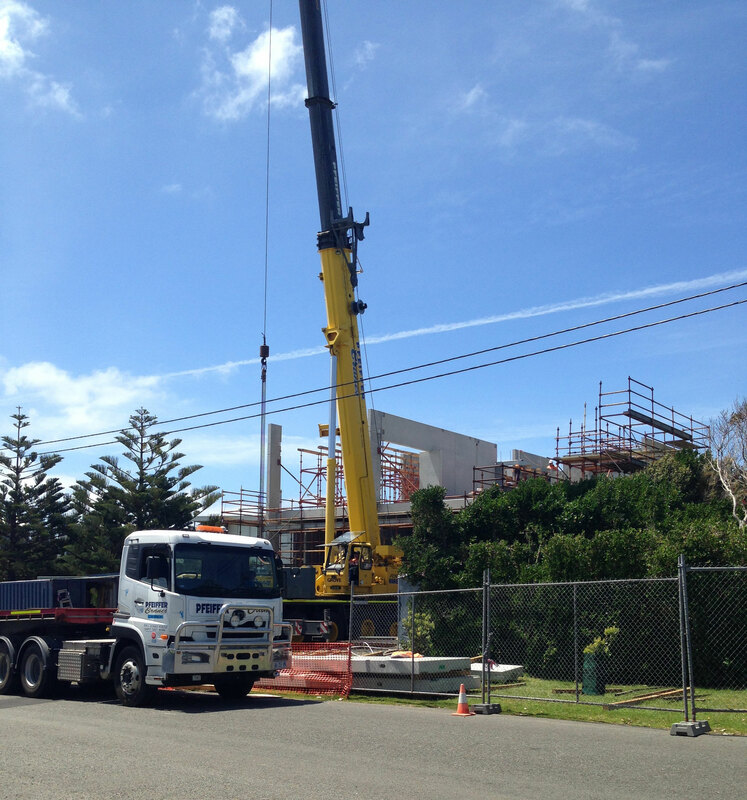 The last few months have seen all the pre-cast concrete panels craned and fixed into place, all concrete floors poured with included hydronic heating installed and a small section of stainless steel roofing installed. 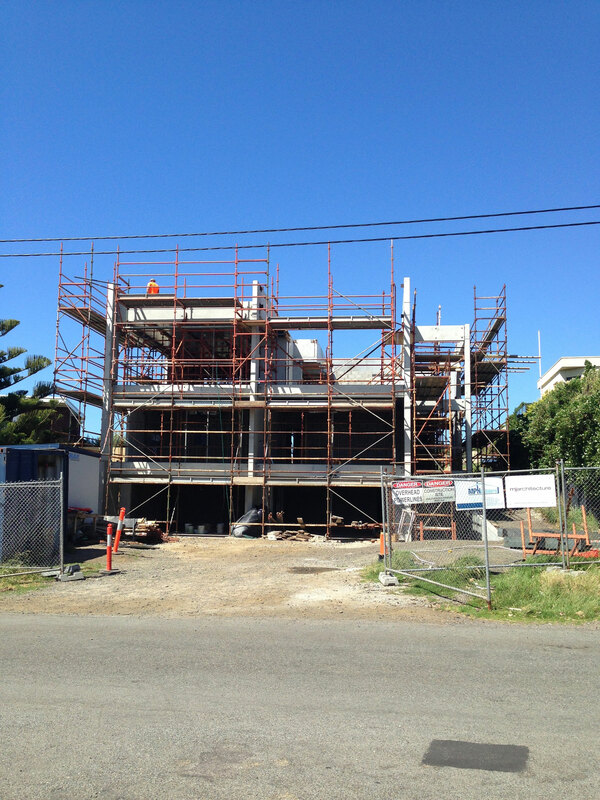 Work will now commence on the installation of windows as well as the rough-in of plumbing and electrical systems. The final fit out of linings, joinery and fittings will follow after. 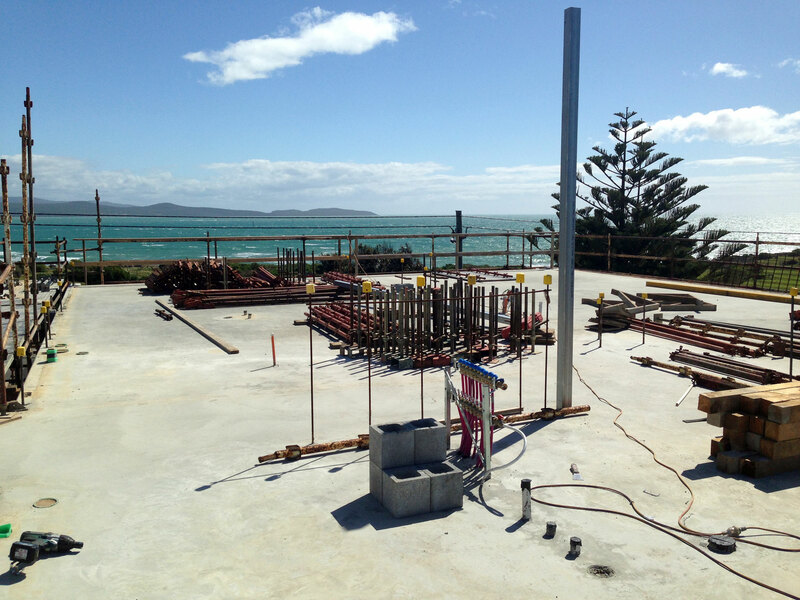 The first floor bondek slab has been poured and hydronic heating was included in the slab across this whole floor. 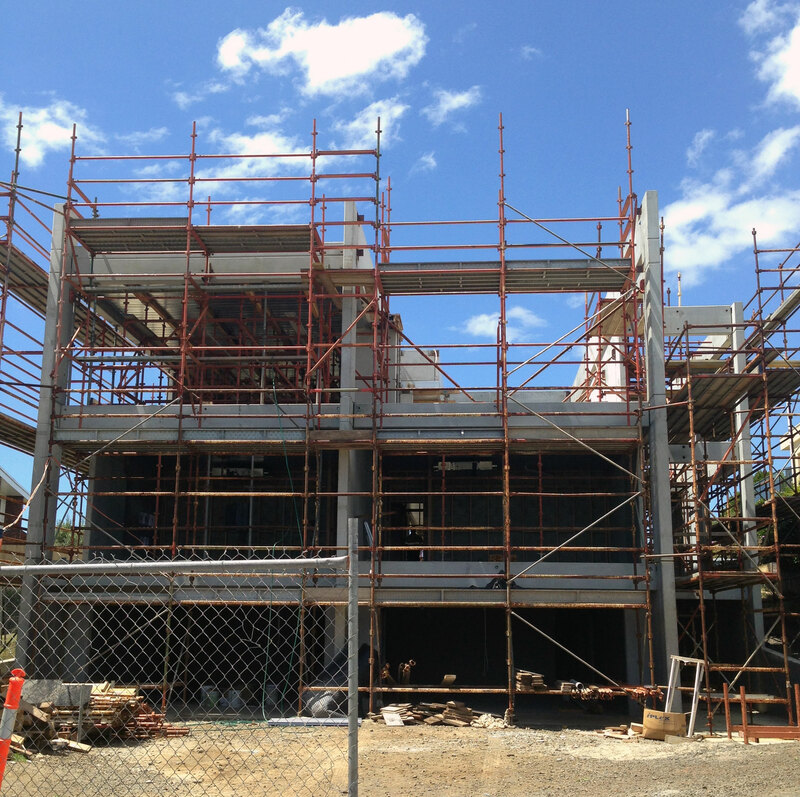 Steelwork is being installed for support of the concrete roof top terrace above. 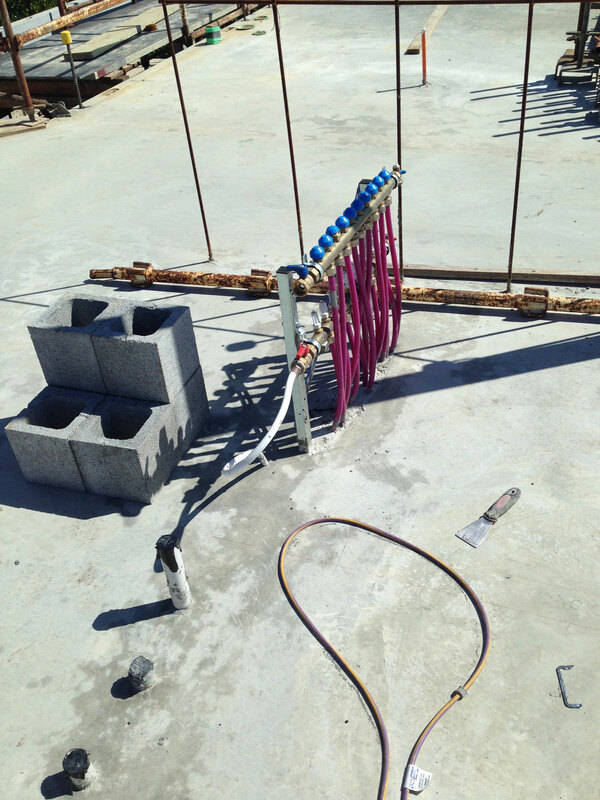 Close up view of in slab services, including the hydronic heating manifold, sewer drainage pipework and conduits for electrical and data services. Throughout this project minimising the chance of cracking has been critical, especially as the internal floors are polished concrete. 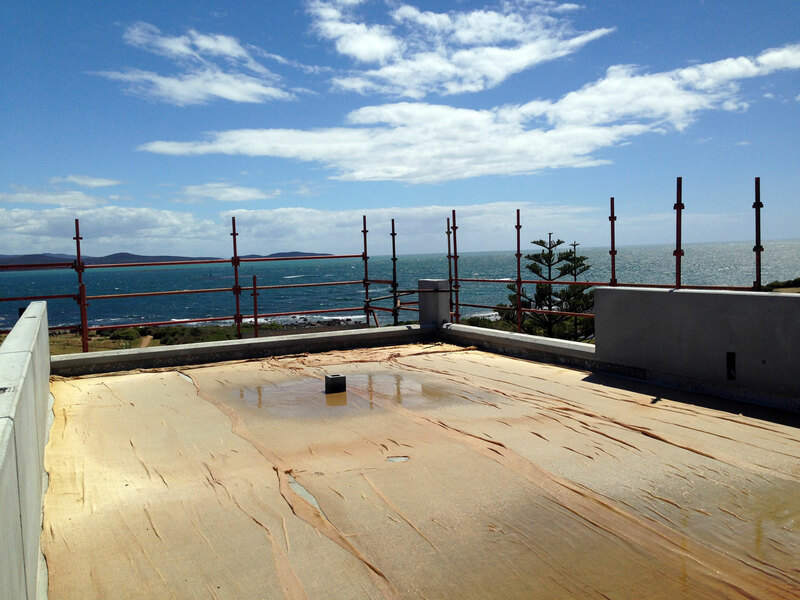 By placing hessian over the recently poured concrete surface and keeping the slab damp for a minimum of 7 days, the concrete can cure and harden sufficiently at a slow and controlled rate. This decreases the chance for minor cracking to occur. This entry was posted in Residential Projects and tagged Brunacci Residence, Construction Blog, Launceston Architects, Low Head, MJ Architecture, Residential Architects, Tasmanian Architects on February 21, 2015 by MJ Architecture.